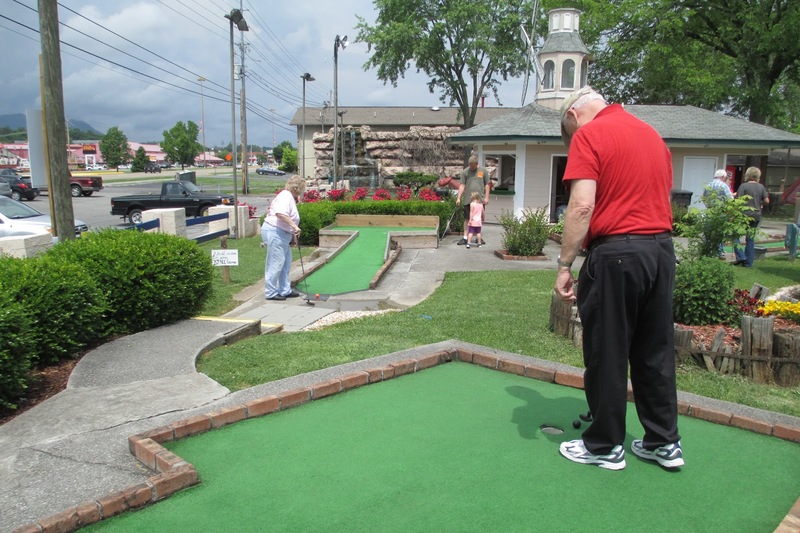 While on vacation last month, we stopped to play miniature golf at one of the many tourist attractions on Pigeon Forge. It was fun. For the most part. 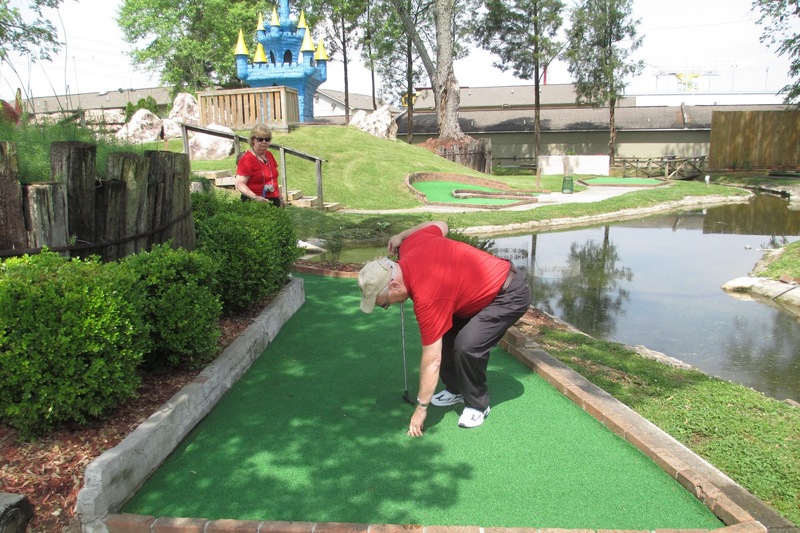 Mini golf is a relatively new activity for Jena. She played her first two games on vacation last year, and fell in love. 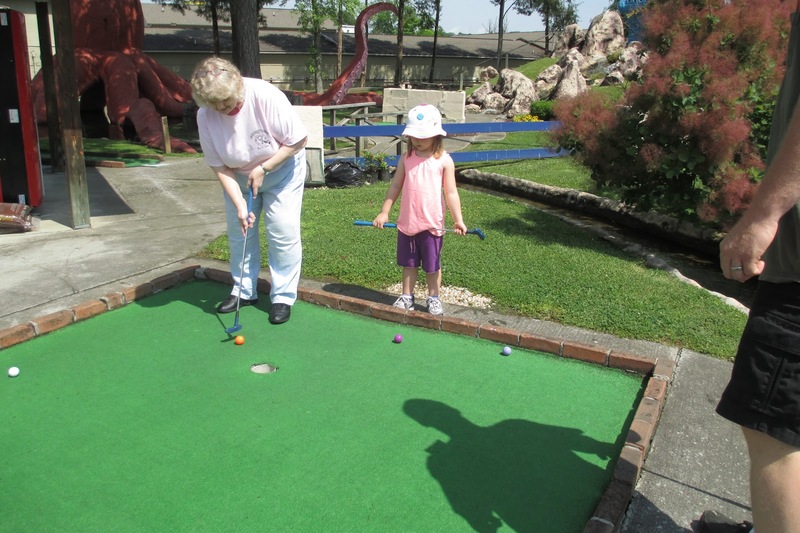 She LOVES miniature golf. One thing we have not convinced Jena to do, is to use both hands. 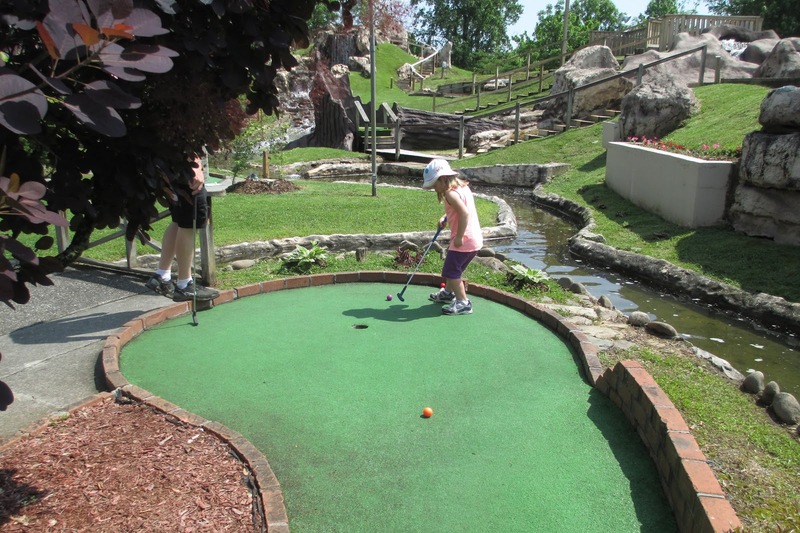 She typically stands directly behind the ball, and with one hand on the club, thrusts it forward, pushing the ball. Pretty far (considering). Needless to say, we do not keep score. Not yet. This concept was difficult for my dad to grasp, and he kept a mental score in his head, up until Jena's meltdown. And even a little bit after that, I think. 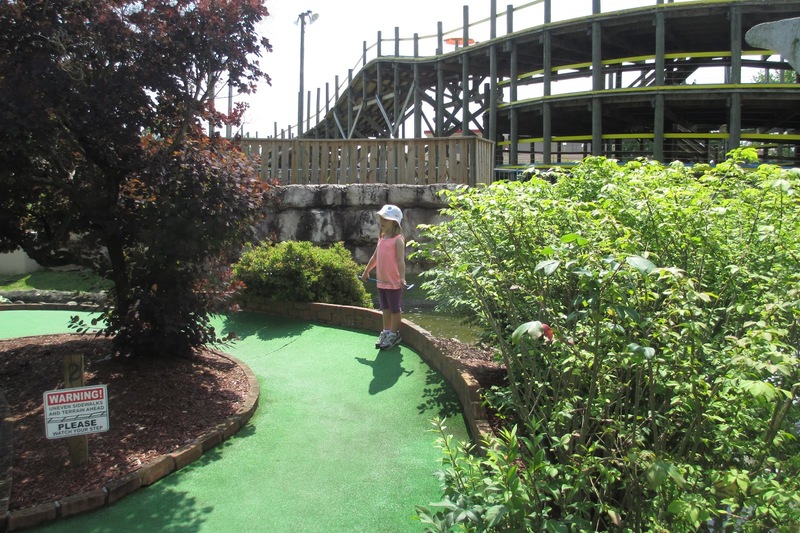 We also had a hard time convincing her that you had to wait for everyone to finish before you moved on to the next hole. Probably because it's usually only the three of us, so the wait usually isn't as long as this time, when there were six of us total.